Ingredients: Coconut Chips*, Beetroots* (29%), Raspberry (26%), Vanilla Extract*. 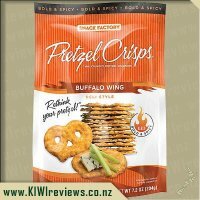 I have already reviewed the BBQ coconut chips and while I was unsure of that product, I was pleasantly surprised and enjoyed them. Because I had a positive experience with the BBQ chips I thought I would also give these a go. I had previously held off because I am not a huge beetroot fan. I offered these around when we had some friends around. One of our guests thought that the flavour was a little sour. They found the chips to be very chewy too, almost fibrous. No amount of offering got his partner to try them. She is not a coconut fan at all. My kids had mixed reviews about the product. The colour of the coconut chips is very appealing. They are a lovely bright red, so my youngest wanted to try them. But she also found the texture too much for her. My eldest didn&apos;t like the smell of them. I found the flavour to be not too bad. I didn&apos;t find the beetroot a stand out flavour for me. I think as I don&apos;t rate beetroot at all, it would have stood out like a sore thumb usually. The texture for me was different to the BBQ. I&apos;m not sure if that was the way they were flavoured or the fact that these ones were sweet. I tried using these in a chocolate bark. I used a dark chocolate with 70% cocoa and it came out quite nice. I had to break up the chips a bit so that the chunks were easier to scatter on top of the chocolate. The chocolate rounded out the flavours and added a smoothness to the overall effect too. I did also try this in a smoothie. So into a blender I put some of the coconut chips with some yoghurt and some lemonade apple and banana. It made my smoothie a cheerful red colour. It also added a coconut texture to the smoothie. It tasted quite nice. This would make a good addition to the pantry if you are looking for something to cook or bake with, or use for snacks and you have health requirements to meet. However, it wasn&apos;t quite for me. I think it was a combination of the sweetness and the texture when eaten by itself, that didn&apos;t appeal as much to me. It was the packaging that first caught my eye with this product. I liked the way that the packaging was all recyclable and that the plastic container meant that you could just use what you needed each time. I was a bit confused at first as to what exactly the product was as they have put the name of the product in a catchy sentence. However with words such as organic, paleo and no added sugar popping out across the top I knew that it had to be a healthy snack. What would have made the packaging even more helpful would have been listing a few ideas of ways to use this product other than just eating. The colour of these coconut chips is an amazing bright red. I have always loved beets for the use of colouring but was really unsure how this would taste along with the raspberry and coconut. I did not need to be worried as the taste of the raspberries were very strong and the flavour of the coconut only came through after a bit of chewing. The texture of these chips were awesome and reminded me of flaked coconut but in a crisper form. I think it was because of the strong flavours and the way they lasted in the mouth that you did not need many to make you feel like you had been snacking for a while. I not only tried these by themselves but also tried them a few different ways. 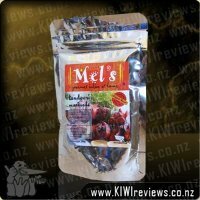 I added them to my weet-bix which worked really well as the flavour of these complemented the taste of the weet-bix. I also sprinkled them over banana on toast. You didn&apos;t need much to have a great flavour impact. I was surprised at how far I made this packet go and that was also sharing with others and snacking over 3 days. Although these are a bit higher in price than I would like to pay since finishing them I have come across a few times that I would loved to of added them for flavour and colour. 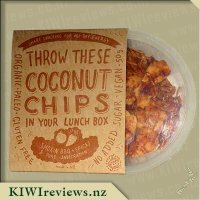 When I first saw coconut chips up for review I was very keen to give them a try, I love anything coconut. I have also been on a mission lately to make healthier food choices but have been really struggling trying to find snack foods. The fact that the coconut chips contain only four organic ingredients and no added extras was a big selling point for me. When they arrived I couldn&apos;t wait to taste them, the bright colour was very inviting. I took a few minutes to look at the label first before ripping in to it. While the label is simple in design there is something about it that draws you in and makes you stop and read. Opening up the container the smell of raspberries hit me straight away. With the first bite I was sold, I expected being able to taste beetroot due to the colour. Clearly the beetroot was just used for colour because the only flavours I got were the raspberry and coconut. I found the chips very tasty and found that just a couple was filling enough for one sitting. As much as I didn&apos;t want to share my tasty treat I decided to let my husband and sister both try it. It was mixed reactions from them one loved them while the other found the texture and the taste was odd. So I think they are a snack which comes down to personal taste. Deciding to experiment with them I threw a couple of wee clumps into my morning smoothie. Even though I hadn&apos;t used a lot you could certainly taste it. 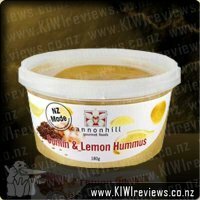 The following day I crumbled a few of them up on the top of my yoghurt for lunch I found this one of my favourite ways to eat them, it added a nice flavour hit to a normally plain lunch. While the price is a little on the high side I found the container lasted a while as a little went a long way. 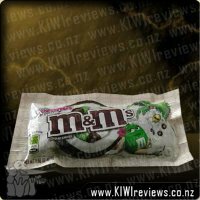 I would buy them again to keep in my work bag as a mid afternoon snack or to have on hand to throw into my yoghurt. I don&apos;t mind paying a little extra for a high quality organic product. To be completely honest I was really looking forward to reviewing these. I am not one for trying things out of my comfort zone but with a child who has coeliacs disease I am all about trying new gluten free foods that she could potentially like. The first thing that caught my eye when looking at these was the amazing colour. They were a bright pinky red which I would say would have come from a mix of the raspberries and the beetroot. I like the fact the container was see through so you could get a quick visual picture of what was in there. The packaging (albeit basic) I thought was good. It wasn&apos;t over crowded, gave you all the information you needed to know and was easy on the eye. Once I had opened the container I was surprised. I thought by the name coconut chips that these would be almost thin like pieces like a normal potato chip, but they weren&apos;t. They were more like small clumps of coconut where you could also see what I presume was the seeds from the raspberries. I thought the smell of these were quite nice. You could smell the sweetness of the raspberries but also a nice subtle coconut smell. I decided to give them a try and at first I was hit with a coconut taste and a bit of a crunch but then the beetroot flavour kicked in an overpowered it for me. I personally didn&apos;t enjoy these and I think that is just my palette. I found the flavouring to be quite an odd taste as I love beetroot, coconut and raspberries but in my opinion these flavours didn&apos;t work well together for my palette. 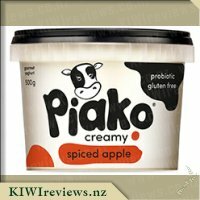 My 3.5 year old however absolutely loved them and carried on to devour the rest of the container. Would I buy these again? For myself no, but perhaps for my daughter as a treat if we were traveling. I would be hesitant on buying them for her often as I find the price of $6.50 to be quite pricey for only 50grams. 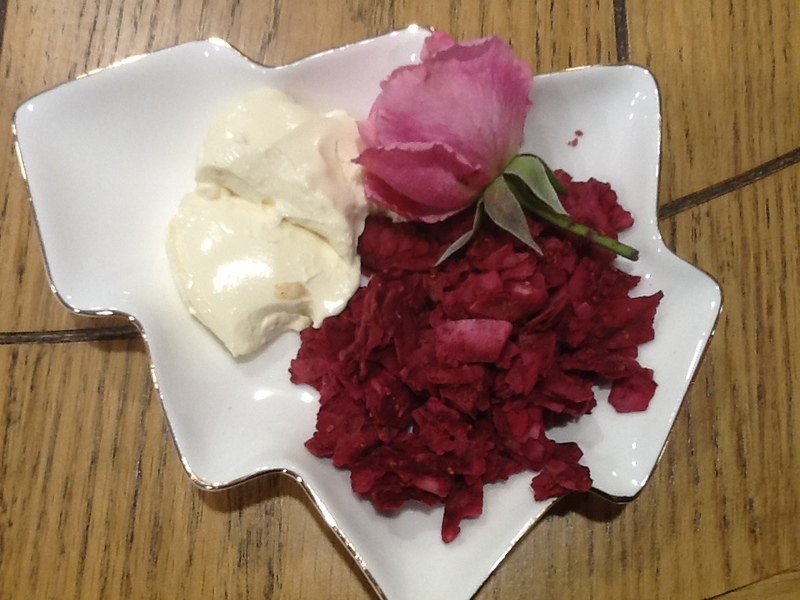 When I requested these Coconut Chips to review, I was intrigued to try such an interesting combination of coconut, raspberries and beetroot. When the container arrived I was amazed at the vibrant colour of the chips, they were deep crimson red which I surmised was given by the beetroot, because as anyone who has cooked or opened a can of beetroot will know that beetroot juice is a great way to stain just about anything! When I opened the container I smelled the chips and I could faintly smell the scent of raspberries, I also noticed the chips were in small clumps, seemingly bound together by the dried raspberry pulp. Having the chips in small clumps made them easy to pick up and eat and the taste was exactly as the flavour suggested; crunchy chip of coconut, sweet raspberry and the slightly vegetable like taste of beetroot. 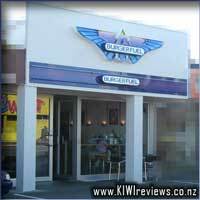 I really liked the combination of flavours and I was keen to get my family to try them as well. My two daughters and my husband all thought they were yummy and one daughter suggested they would be great addition in smoothies or as a decoration on cakes. I would definitely eat these chips again, especially if I was looking for a guilt-free snack on the go, but due to the cost I would have purchase them as a very occasional special treat. I wasn&apos;t quite sure what these coconut chips were going to be like when I requested them but as I want to find some nice healthy snack ideas that don&apos;t contain nuts (as I work in a nut free work place) I decided to give them a go. 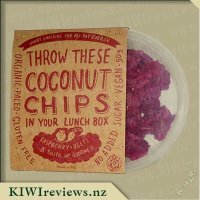 These raspberry and beet coconut chips arrived in my latest review pack and the packet definitely stood out. The product itself does seem quite fragile, but being packed in a plastic container where it has a little room for movement and then wrapped in a cardboard sleeve they did seem to travel well. There are the odd small pieces in the bottom but you get these with potato chips too! Looking for something sweet after dinner I pulled these out of the cupboard for my husband and I to try. He was intrigued with the red colour and wanted to know what they were! He tried the first one. I watched to see how his face would react - it wasn&apos;t such a good reaction! He wasn&apos;t a fan of them. 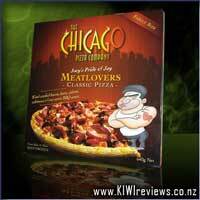 Despite this I wanted to try them for myself as I know I often like some of the healthier options more than he does. I was quite pleasantly surprised after seeing his reaction. There was definitely the taste of coconut, which is fantastic as coconut is one of my favourite things. I definitely tasted raspberry too - and not a fake raspberry taste, it was a beautiful real raspberry flavour. I did quite enjoy this! As for the beets I couldn&apos;t taste them (well not that I thought I could - I don&apos;t like them so was quite pleased not to taste them!). I suspect from reading the box that the beets are used mostly for the colour. All in all this is a snack I would definitely eat again. I only had a couple of wee bunches of chips and that was all I felt I needed. Unfortunately the price is quite steep. The cost of healthy options stops many of us from eating them, and this is definitely a prime case of this. Unless I was really craving them or they were reduced in price I wouldn&apos;t buy them myself. Coconut seems to be the trendy health food at the moment. When I saw that The Green Seed had offered coconut chips I had to try both varieties just out of curiosity. Although I enjoyed the savoury variety the Raspberry and Beets was the favourite with both my six year old daughter and myself. I admit that I don&apos;t like beetroot because it is messy and doesn&apos;t have a lot of flavour. I had been told that the beets are more for colour than taste in these coconut chips and this was true. I couldn&apos;t taste the beets. There was no mess as the colour was all absorbed into the coconut chips. I was suprised to find the chips were quite crisp, not soft like coconut shavings usually are. You can definitely taste and smell the coconut which meant Miss 8 didn&apos;t want to even try it. The coconut chips were very sweet given that there was no added sugar or any ingredients like dates, apple or pear that are often used to sweeten foods naturally. The pottle looks too small. It is only 50g but both Miss 6.5 and myself found that we just took a little clump at a time. This meant that it lasted for a long time. The pottle was easily resealable which meant that the remaining chips stayed fresh and crisp with the help of the silica gel pouch that was inside. The cardboard sleeve surrounding it was both fun and informative. It is suggested that these chips are added to your pancakes, smoothies or breakfast cereal. Although I haven&apos;t tried any of these I am keen to try with the chips we have left. 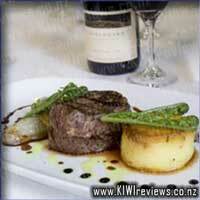 The price makes it too expensive to have regularly but it is a nice treat by itself or part of platter. It would also make a nice addition to a gift hamper. I do enjoy the taste of coconut but had never heard of coconut chips before, so with my curiosity interested, I requested some of these to try. Getting them out of the box of review goodies I was pleased to see an easy to open and close container, that could also be reused to store something else when the chips were finished. It took me a little to get used to it being soft with a slight crunch to it, these do a have a stronger crunch to them if you eat a couple together as they are mostly in small chunks. My children all were eager to try these and I ended up with one child who can&apos;t stand them, one child who didn&apos;t like them at the start but now has a mild appreciation for them and the third child adores them, can&apos;t get enough and would happily have finished off the entire container on her own, if I&apos;d let her. If you eat one little thin piece, there isn&apos;t much of the beetroot or raspberry flavours coming through, however in a small chunk of chips there is a stronger hint of he beetroot, finding the raspberry the hardest to taste in these. $6.50 feels a bit steep, cost wise, upon first glance, but you are getting a very natural item (there&apos;s only 4 ingredients!!!) and you don&apos;t need to eat a lot in order to feel satisfied. I won&apos;t get this often, but I&apos;m glad to have found a snack that my kids can enjoy and is natural. I have to be honest and say that when I had requested this item I was very unsure of what it was I was going to get when I opened the packet, for the past month or so The Green Seed Coconut Chips had been popping up all over my Facebook news feed with people raving about them so I knew they were at least something I wanted to try. Chips are something I absolutely love, but they are also something that you shouldn&apos;t eat a lot of due to there unhealthy nature so I was looking forward to trying out this healthy alternative. 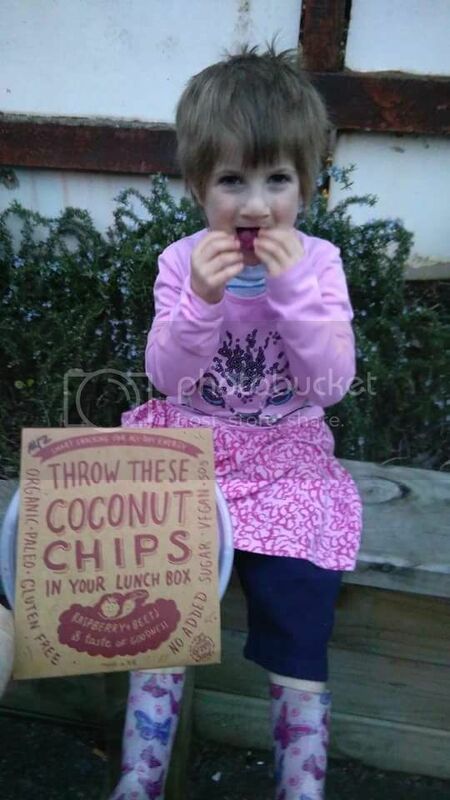 The coconut chips come in a clear plastic container which has a resealable lid, and also have a cardboard outer packaging, due to the great packaging of these chips they are unlikely to get squashed at all and so the saying on the packaging "throw these coconut chips in your lunchbox" is very realistic, a product that you really can throw directly into your bag or lunchbox whilst being able to know the product will not break up! 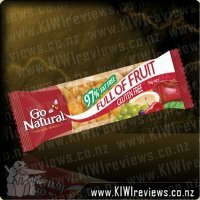 The outer cardboard packaging looks to be made from recycled cardboard, and the red lettering and bold fonts represent the colour of the product well and are something that would stand out well on a supermarket shelf, the way in which the packaging is done pretty much says it all &apos;eat me i&apos;m good for you&apos;. Reading the packaging you can see that these raspberry and beet flavoured coconut chips are a great idea for those who suffer from allergies with them being gluten free, dairy free and egg free, they are also vegan free, sugar free and organic and paleo, great for those who maintain such lifestyles. Opening the container for the first time you are hit with a fresh coconut smell, I must say that I couldn&apos;t pick up a smell of the beetroot nor the raspberry, however the deep red colour did reflect this. Biting into the coconut chips they were nice and crisp, and the flavours of the raspberry and coconut were delicious, however I really couldn&apos;t taste the beetroot, mind you beetroot isn&apos;t a very strong flavour at the best of times, even when eaten on it&apos;s own. Miss 3 asked me what I was eating and when I told her they were chips she just had to have one! She LOVED them and couldn&apos;t get enough of these tasty little morsels, she kept asking for more and more and if I had of let her would of happily devoured the entire container full, however I wanted them to try in other ways and I liked them myself to much to just give up ! 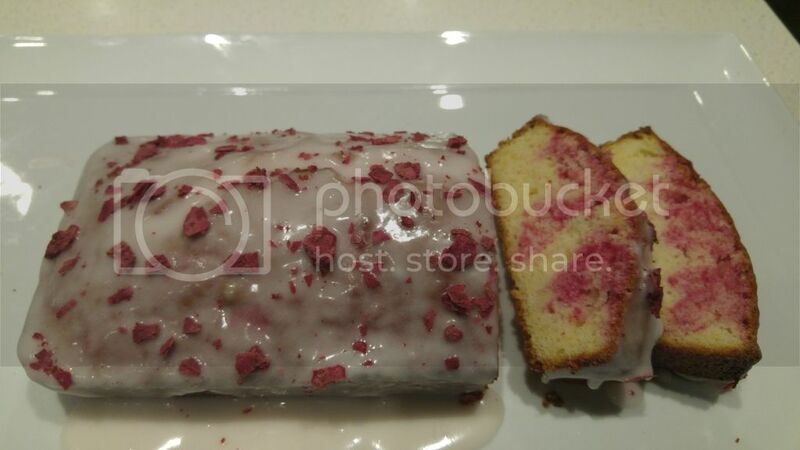 I decided to try these out in baking, so I made a raspberry and coconut loaf, adding the coconut chips into the recipe in place of desiccated coconut, due to the size of the chips I did have to chop them down a fraction more so that they were smaller and more suitable for what I was using them with, these went into the loaf as well as some frozen raspberries. When the loaf was cooled, I opted to drizzle it with a vanilla glaze so that I could top it with some more chips, this not only looked very pretty but tasted great, the flavours of these chips really made the loaf more spectacular than usual, and I really liked the texture these added. With still a few chips left in the container these have been being added to yoghurt and also as a topper to porridge and both ways they work well, providing a nice twist on how these are traditionally served in our house hold. Are these something I would buy again? Absolutely but I must say that I do find the price is a bit steep to buy as a everyday item, though I do understand that this is a &apos;health&apos; food and that these generally tend to cost more. This product is a welcome change from potato chip style snacks. 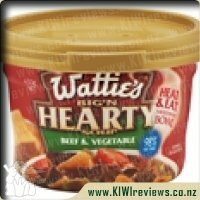 It comes in a resealable pot so the contents stay fresh after they are opened, and the outer cardboard wrapping is decorated with fancy lettering reminiscent of the signwriting styles you see on the "daily specials" boards outside trendy food bars. The combination of solid card wrapping and inner plastic container means that you really can do what the label says - throw it in your lunch box without the fear that the chips might be reduced to crumbs. There were eight people altogether testing them out with me, and the responses were quite varied. We all sniffed the product before trying it; most could identify the coconut and "a berry" - some thought it was strawberry, while others opted for raspberry - but nobody guessed that the bright colour came from the beetroot. The younger members of the group said it looked happy, and they thought they would enjoy eating it. Next came the taste test. Again, nobody identified beetroot as an ingredient, but they all agreed once they had actually tried a piece that the flavours definitely included raspberry and coconut. The children and the older adults really liked the combination whereas the younger adults found it slightly bland. 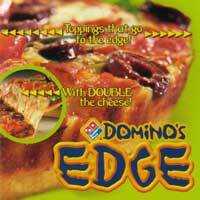 Everyone liked the texture; it was firm and crunchy when first bitten, but then gradually melted in your mouth. One of the adults pointed out that it was softer and sweeter than a regular potato chip, and wondered it sweet potato had been included in the ingredients. We tried the chips on their own and also with an accompanying plain dip (very lightly flavoured with garlic and onion). I liked them served both ways, and so did the children, but the other adults felt that the chips were actually so nice that they did not need anything else with them. It was a plus that the chips did not crumble so although they were small they could be used to scoop up the dip and remain intact! One of the adults commented on the manufacturers&apos; creativity in thinking up such a combination and making the colour a selling point. Certainly they would be a talking point at a party and I can see they would be popular, but the price takes them out of the range of everyday foods. So I will be keeping them in mind for next time I entertain and want something a little special to offer my guests. 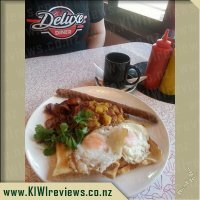 Deluxe Diner, the first of its kind in New Zealand. Open 7 & Days 7 about-server Nights, it features counter service, all day breakfast, classic red diner booths, rock n roll, Coca-Cola, Elvis, Marilyn Monroe, and 1950s retro memorabilia.